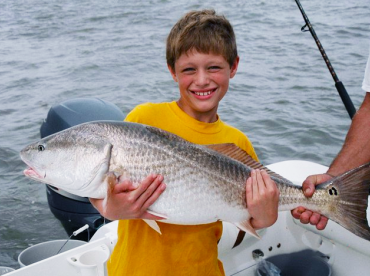 Look no further than Hilton Head inshore fishing for some of the finest light tackle action in the country. 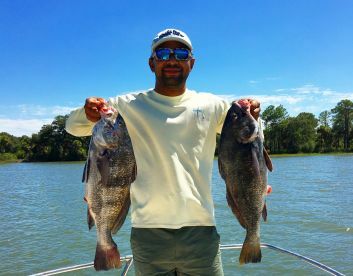 This type of fishing is superb at any time of year, whether you find yourself on the flats, in the rivers and estuaries, or out in the sound. 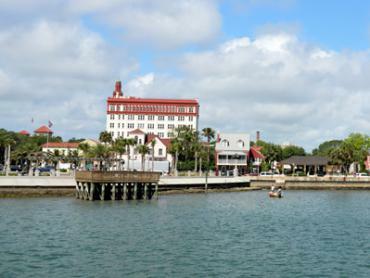 From Redfish and Flounder to a variety of Sharks, you can expect to come away with a great catch. 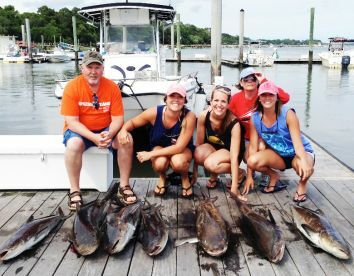 Locals will tell you that autumn is hands down the best time for inshore fishing on Hilton Head. 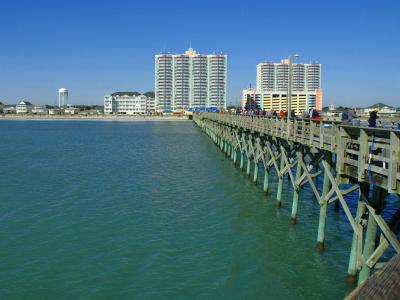 The weather is fair, the water is clear, and most of the tourists have left town. Speckled Trout and Flounder start heading to the flats, where they join Redfish in a feeding frenzy. The oyster bars, mud flats, and creeks are abundant with baitfish at this time of year, including lots of shrimp. This is a great chance to bring home plenty of table fare! In autumn you can also venture into the sounds to target Bull Redfish. These monster reds sometimes reach up to 40 lbs in size and many anglers consider them to be the highlight of inshore fishing on Hilton Head. 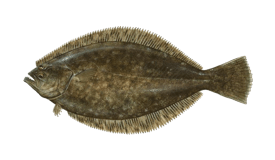 You will also find them on nearshore wrecks between five and 15 miles from shore, along with Bluefish, Black Seabass, and more. 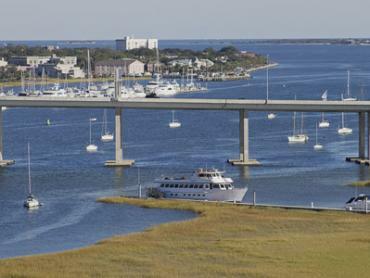 Even in winter, Hilton Head offers some of the best inshore fishing you can find. 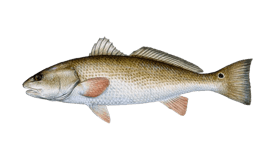 Flounder, Speckled Trout, Redfish, Seabass, and Sheepshead are all biting close to shore. 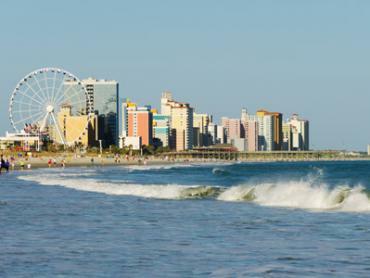 In spring and summer you can reel in an assortment of species, including anything from Flounder to Cobia, Tarpon, and Sharks. 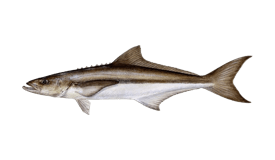 Cobia begin to appear in Port Royal Sound and the Broad River in spring. Tarpon makes an entrance in summer, some of them reaching over 100 lbs. A variety of Sharks such as Lemon, Dusky, Spinner, and Bull Sharks become more numerous in summer as well. Fishing from June onwards will give you a chance to catch any of the above. Inshore fishing usually calls for light tackle or fly fishing. Depending on the species and conditions, you can use live bait, dead bait, artificial lures, and flies. 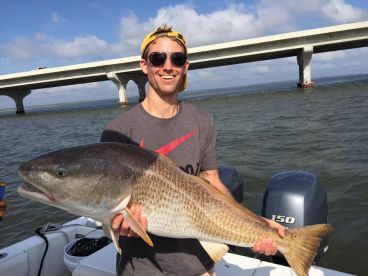 Poling the flats in winter and sight fishing in summer and fall are common methods that locals use to target Redfish in particular. Fishing in the sound may include trolling and bottom fishing depending on the target species. 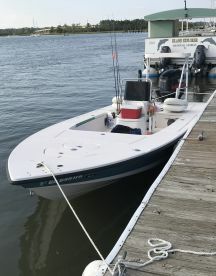 Fishing near wrecks usually involves anchoring and bottom fishing for Seabass and other bottom fish. 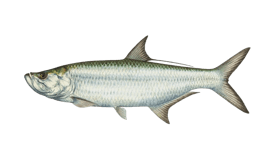 You might troll for Spanish Mackerel, Cobia, and other species.